"Err...so, where are the guys with the guns?" may be your first thought on arriving in Johannesburg. Whilst Joburg has a fearsome reputation and people like speaking about how many times they've been killed there, in reality it's not too frightening. For most people the closest sign of the potential violence are the bricked up walls hiding beautiful residential houses, with electric fences and razor wire above them and a sign indicating "armed response". Johannesburg represents the spirit of South Africa, and in some ways a visit to the country is not complete without an introduction to the city. It is the capital of Gauteng province and the largest city in the country; and is endearingly known to locals as Joburg, Jozi or Egoli (place of Gold). Indeed, mine dumps are never far away, rubbing shoulders with the fruits of its labour - shiny modern skyscrapers intermingled with 19th century architecture, Indian bazaars & African muti shops (where traditional healers dispense advice & traditional medicine). Johannesburg is the largest city in the world not situated on a lake, navigable river or by the coast (the only reason that it was born was because of gold). It is home to Africa's tallest building, the Carlton Centre. For accommodation in Johannesburg, see our list of Johannesburg hotels. We suggest staying at the Saxon Boutique Hotel. It made the prestigious Condé Nast Gold List for 2013, and offers a heated swimming pool, 5 star food, gardens and is in Sanhurst. Book a villa. With a little sunscreen and a sense of adventure, here's a list of things you can enjoy in and near Johannesburg. 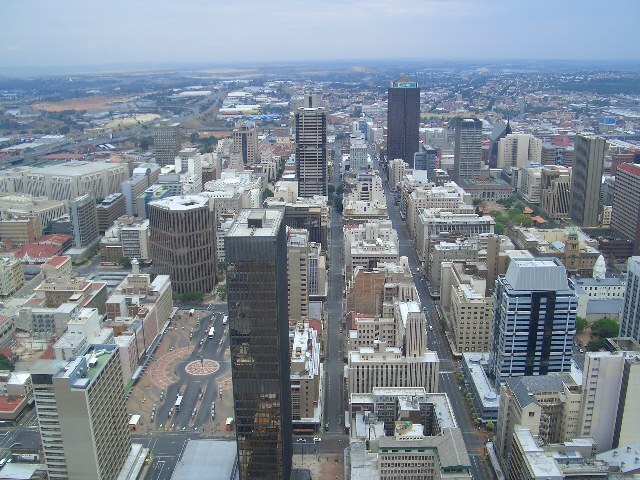 An overview of the city can be seen at the Carlton Centre, situated in the old central business district of Johannesburg (a lot of companies have moved to Sandton). 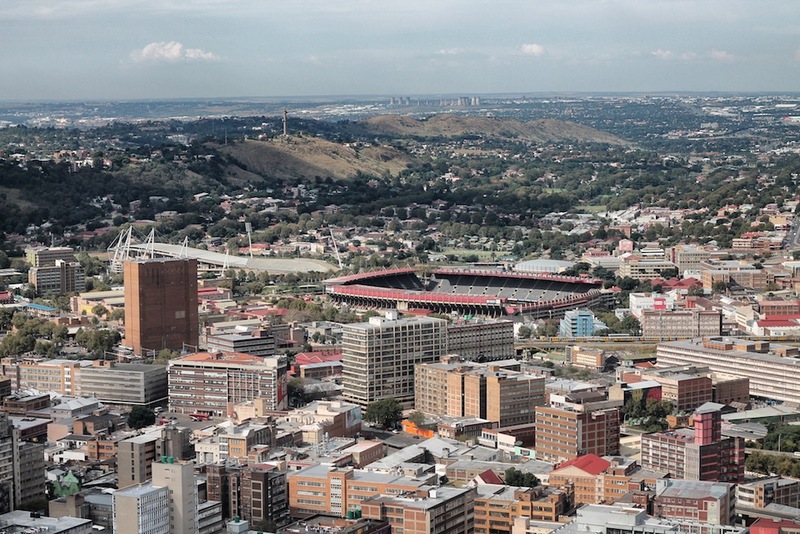 From the observation deck, see the city skyline and right up to Soccer City in Soweto. When you're back on the ground, take a drive eight minutes away, and gain further insight to South Africa's political and historical transformation at Constitutional Hill. The Old Fort Prison exhibit exposes the prison cells where both activists and citizens were held during the dark days of apartheid. The Constitutional Court tour unveils proceedings where big decisions on the constitution are made. African coffee and dine in the spacious, shady courtyard-style setting. Pick up a trinket, handmade garment or sculptures at the artsy boutiques. For those wanting a full day trip, head over to Gold Reef City for the remainder of the day. Johannesburg is often dubbed eGoli or 'the city of gold' due to its position on the gold enriched area of Witwatersrand. The area sparked extensive gold trade during the 19th century and its link to the creation of wealth, trade and growth even provided the national currency a name, the South African 'Rand.' What better way is there to explore and celebrate such a golden city then other than an amusement park based on gold mining? The theme park is a colourful depiction of mining life at the turn of the 19th century in South Africa. Gold Reef City is an all-day affair less than 10 minutes from the CBD. Buy a ticket (online or at the entry gates) valid all day and go on as many rides and rollercoasters as you wish; plus have lunch at the Town Square as local musicians entertain with their beats. Children will love 4D movies and enjoy the heap of kiddie's rides to their heart's content. Explore the old gold mine during a deep, gripping Underground Tour and experience the life-story of the miners interactively as you pan for gold. To end your historically adventurous day, have an all- you-can-eat lunch or dinner at Boston BBQ and try out the exciting local dishes from lamb potjie to Cremora tart. Put on your old clothes and head to Dirty Ryders, in Lanseria, to go go-kart racing, practise archery and shoot each other with paint ball guns. Virgin Active Gym and then try and resist the enticing national food outlets such as Spur and Ocean Basket. Be part of the audience and celebrate South Africa's diversity on recognized holidays, such as the Chinese New Year or Diwali, when cultural demonstrations and concerts are on display at the centre. Check out their website for more details on available stores, events and trading hours that may suit you. Mums, Bubs and all are welcome to unwind…in this picturesque green village. Tthe Adventure Golf and Mini Golf course is situated next to Bright Water Commons. Or end your shopping trip and literally walk to the golf course afterward. For the youngsters and the young at heart, it encourages hours of put-put action amid serene fish ponds, waterfalls and leafy paths. It's game on! The Collectors Treasury is the largest used book shop in the southern hemisphere. Two brothers have not just books, but also letters, posters, furniture, binoculars, etc... Make sure you go to the basement. Market on Main held each Sunday joins the party with more divine food, designer-wear and music to sample. Day tours and walks can be arranged via Main Street Walks. and pick up bargains at Oriental Plaza wherein traditional garments and foods of the East are brought to life. I've always wanted to try something super adventurous, like parachuting or shark cage diving. I have not quite reached those heights or those lows for that matter but I have tried microlighting. And I have this to say about it - It rules! It is the perfect adrenalin rush for the average Joe. Not too much and not too little. An exhilarating ascent followed by zen-like soaring above idyllic panoramas. The whole flying experience takes about an hour and the Johannesburg Flying Academy is situated on the Panorama Airfield, in Brackenhurst. painting will make this trip well worth it! Take a piece of the night with you from their craft shop which feature beautiful local relics. Take a trip to the Johannesburg Botanic Garden, set up a picnic spot, play ball with the children and thereafter take a stroll and discover the plants and herbs of Africa. Emmarentia Dam is to the east of the gardens and looks as magical as it sounds. If you do not happen to see canoeists practicing their water-sports on the water, be sure to look out for the equally entertaining ducks paddling on the surface. Have scones and tea at the cafeteria. This is definitely a natural wonder right in the middle of the bustling city. Meander in the lush grasslands at Walter Sisulu Botanical Gardens. If you're lucky you may catch sight of a buck or one of the 220 bird species which call the gardens at Roodepoort home. Hiking routes lead you on trails past the gushing Witpoortjie waterfall and up rocky climbs of fiesty orange sand to Roodekrans Ridge. Gaze at the gardens below and further out at the spectaular cityscape. A hike up here is truly worth the challenge, as you come across a rare birds-eye point of view of Joburg's metroploitan which stretches out for miles. Take a picnic basket or try the restaurant on site. For those looking for a VIP flying experience, try a helicopter flight with Skyview Helicopter Charters at Rand Airport followed by lunch at Harvard Cafe (sit outside at one of the tables close to the runway). You can marvel at the engineering feat that is the helicopter and for a romantic twist, add some spa treatments and a gift pack from Kloofzicht Lodge and Spa. Enjoy the thrill of flying in a safe way and from a viewpoint like no other. See sights like, Joburg CBD, Vodacom Tower, Ellis Park, Joburg Zoo, Linksfield Ridge, Zoo Lake, SABC Building, Melville Koppies, Emmarentia Dam, The Westcliff Hotel, Soccer City, Gold Reef City and more. Enjoy the day with a few friends and share the cost. Jozi's Zoo is a walk from Zoo Lake, but a trip here is best saved for a day on its own, as there are loads of exhibits to stop by. Animal species from around the world have their own special enclosures at the zoo, from Madagascar to the Amazon, and of course South African wildlife too. Wear comfortable shoes as there's plenty walking ahead and be sure to pause and refuel those grumbling tummies at the restaurant or cool down with an ice-cream from the vendors around. Book a family day out and let the zoo schedule a mixture of fun, games and education for all or find out about their night tours online. If you want to get up close and personal with nature and her creatures, a day trip to The Ann van Dyk Cheetah CentreThe Ann van Dyk Cheetah Centre should be on your list of day trips for 2013. Situated in the beautiful mountains of Magaliesberg and in operation since 1974, the centre is a conservation project which focuses on the preservation of endangered species, particularly the cheetah. It is run by individuals who are passionate about nature conservation. They have been breeding cheetah and other rare species for release into the wild, and have been very successful. This is an educational day trip, as you will learn a lot, but you also get to interact with the cheetah's, which is an invigorating feeling. If the cheetah's weren't enough, try some lions, and maybe add some other big game to the mix at The Rhino and Lion Park (Krugersdorp). Pick a sunny day and be prepared to make a very close encounter with South African game roaming around in their natural habitat. Drive (preferably a tough vehicle as some of the roads are rocky) on the designated trails in the park. Keep the doors and windows closed…but keep your eyes wide open for a whole host of South African beloved animals such as zebra, deer, antelope, rhino and a group of ostrich who love to parade their feathers past your car. Watch the lions munch on their meat during feeding times then head over to the visitor's section to make a braai (South African barbeque) of your own under a cool hut with grills provided. There is a kid's playground area and swimming pools to keep the little ones entertained. But the highlight will definitely be spending 5 glorious minutes cuddling a baby tiger or white lion cub in the Animal Nursery. Continue along the road for about 14km from the Rhino and Lion Nature Reserve until you get to Tweefontein Horse Stables on the right. Here you can ride into the Cradle Nature Reserve with a qualified guide and view many game species and historical sites. Each outride takes about 2 hours. Picnic sites and refreshments are available. The Elephant Sanctuary in Haartebeespoort is the perfect day trip for the soul. All the programs are guest and elephant focussed and all the elephants are African elephants whose trust has been gained through reward based training. The sanctuary believes in building firm relationships of trust with these gentle giants so the close encounter you get when visiting is a one of kind experience. You will learn a lot about these amazing creatures, but the highlight is getting to interact with them. It is nothing short of spectacular. You get to feed them and walk hand-in-trunk with them! A trip for the whole family, young and old. Afterwards, you can add a trip to the Pancake Hut if you feel so inclined. News: 19 April 2013: A tender to create a management plan for mountain bike trails in the cradle of Humankind is issued by the Gauteng Government - including the design, construction and maintenance of trails. For a complete archaeological day trip, head over to The Cradle of Humankind, which is so archeologically important that it was proclaimed a World Heritage Site by Unesco in 1999. The site lies mainly in the Gauteng area and is made up of 12 caves inside of which human and animal fossils have been found. You can visit the Maropeng Visitor centre (opened in December 2005) with its interactive exhibits and underground boat ride. It's fun for kids and adults. When you arrive you will see a big, round, grassy mound – the Tumulus Building (Tumulus is the name given to the earth piled over a large burial ground). The grassy mound takes us way back into ancient times, and yet when you walk out of the exhibition halls and look at the back of the complex you will see an extremely modern façade – its arms reaching towards the future. On the way to the Tumulus Building, you will have passed a sunken Stoneage archeological site, once a marketplace, where many tools, axes and cleavers were found. Inside the Tumulus Building you will travel through 4 billion years and a huge range of exhibitions, including how we began, what it means to be human, why we walk upright, the development of our jaws, diet, language and brain, stone tools, how people spread out through the world, and our challenges and opportunities for the future. There is also an original fossil display which showcases fossils from all parts of the country. The items in the display are changed regularly. A must do is the underground boat trip. Drifting through 4 billion years on an underground lake, you will slide through chilly ice and snow in the Ice Ages, experience the Earth under water, get hot and bothered as you get closer to the earth’s crust and its original molten state, and eventually end up in a black hole. Luckily, you emerge to see the final treat, an audio-visual presentation which explains it all. The fun doesn't end there, as afterwards you can enjoy lunch at the Tumulus restaurant or the Market Place restaurant while taking in the views from the top of the amphitheatre at Maropeng. While you are in the area, take a drive to the Sterkfontein Caves (Pro Tips: Open from 9am – 5pm daily. Wear comfortable shoes and leave bags behind. Don’t attempt the caves if you are claustrophobic, have chest problems or can’t manage the 190 or so steep steps. The trip is not recommended for children under 4 years of age. No pets, and unfortunately not wheelchair friendly!). These limestone caves are about 10km from Krugersdorp, in the Isaac Edwin Stegmann Reserve. The caves were donated to the University of the Witwatersrand by the Stegmann family and is the archaeological site where Mrs Ples was discovered in 1947. Mrs Ples is the name given to the almost complete skull of a female Australopithecus Africanus. Awfully long words for really old fossils. The skull’s nickname comes from its scientific name Plesianthropus transvaalensis , which means “almost-man from the Transvaal” (now Gauteng). (Scientists are in fact not sure if Mrs Ples was a Mrs, Mr or perhaps even a Miss or Master – tell that to your teacher, little boys!). Mrs Ples is estimated to be between 2.8 and 2.6 million years old and remains an active archaeological site (in fact it's the largest fossil excavation site in the world which is continuously operating). Start off at the new Scientific Exhibition which shows a cave in its original state and then after it has been excavated. You can see the geology of the caves, early life forms, fossils of hominids and mammals, info about Mrs Ples and Little Foot as well as exhibitions on fossilization, palaeobotany, and landscapes. There also lifelike hominid illustrations from the earliest known hominid finding - Toumai from Chad, which is estimated to be 7 million years old – through to modern humans. Have a light snack and drink at the Sterkfontein Restaurant, before or after your trip. Swartkrans is a farm close to Sterkfontein where the first indications of controlled fire were found. Small bones were found that had been heated to a greater temperature than that of a normal bush fire, indicating that early man had intervened. (Many people describe this as South Africa’s first “Braai”!). It is suspected that controlled fire was discovered over 1 million years ago. This was of huge significance to homo ergaster who probably discovered it. He was able to cook his food, protect himself from predators and move to colder parts of the world. This area is not always open. Occasional walking tours of Swartkrans are arranged via Maropeng Hotel. The site is very sensitive and only 12 adults at a time are permitted. It is essential to book ahead. The Old Kromdraai Goldmine is 7km from Sterkfontein on Ibis Ridge Farm. It's open on weekends only, but trips during the week can be arranged. Hourly tours from 9am – 4pm Call 011-9570211 for information. Johannes Stephanus Minnaar was 5 years ahead of South Africa’s Gold Rush. He discovered gold in a productive quartz seam in the Kromdraai (”crooked turn” in Afrikaans) Conservancy on IbisRidge Farm in 1881. Visitors are taken into the large hole at the start of the mine after an informative talk about the traditional mining methods where miners used candles and donkeys and had very little protective gear. You are then taken through the mine’s maze of passages. The mine was closed permanently in 1914. Ridge Farm also has a chapel and the Ibis Ridge contemporary art gallery as well as a Diggers’ Trading Post. The Wonder Caves are north-east of the Sterkfontein Caves - drive on about 3km from the Old Kromdraai Goldmine and you will reach the Wonder Cave on your left, which is the third biggest single chamber cave in South Africa. You will have to walk down 90 steps (an interesting way to view the caves is by abseiling into them) and then take a lift which ends up 60m below the ground. The Wonder Caves contain amazing drip stone formations (and is believed to be over 2,2 million years old. The fossilized bones of lizards, frogs, birds, rodents and the occasional baboon (which presumably slipped and fell into the cave) have been found. There is a resident colony of bats. You can take a guided tour inside the caves and the whole trip can be done on foot, no crawling required. To top it off, you can enjoy singing Shosholoza in the amphitheatre with your tour group. The reverberations off the sides of the cave wall are marvellous and I admit to having a tear in my eye while sitting in utter darkness listening to the voices singing in harmony. Forget the American dream, this was the African dream. The experience represents complete synergy with one's surroundings, both with the environment and its people. cuisine. Yummy. There are plenty of activities to keep the kids entertained and a visit to the crocodile park is good fun too. If you want to split your day and go to two places, you can start with a game drive at the Pilanesberg National Park in the morning and then head over to Sun City for some serious relaxation. The park is home to the 'Big five' and there are over 7000 animals in the park. You can also book an elephant safari or hot air ballooning (the only balloon trip in a national park). And if you spend the day there, then who can resist a sun downer after a perfect African sunset. There is a tour that visits both the Pilansberg Nature Reserve as well as Sun City. 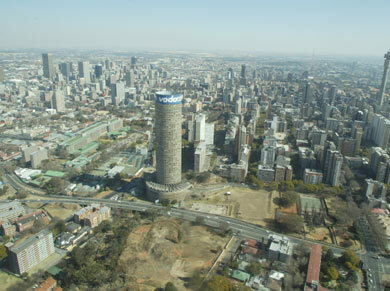 It departs from the Sandton and Rosebank hotels so if you feel like a bus ride, book the tour. If you are the outdoorsy kind and love hiking, braaing and wildlife, Groenkloof Nature Reserve is the place for you. Situated in Pretoria, Groenkloof was named a wildlife sanctuary by Paul Kruger in 1895. The reserve is home to giraffe , red hartebeest, impala, duiker, blesbuck, jackal, kudu, zebra, blue wildebeest, ostrich and sable. There is also a rich bird life. But what makes Groenkloof an amazing spot for an afternoon braai are all the awesome hiking trails and bike trails which take you right past some of the wildlife. If you are feeling particularly vigorous you can track the game across the open plains to get a closer look at each species. It is one of the most serene experiences I have ever had and I highly recommend a slow afternoon bike ride through this beautiful place. When you get back from your hike you can set up your picnic spot next to a lovely, tranquil river that passes through the valley of Groenkloof. A perfect afternoon spent having fu in the sun. I highly recommend, the fillet steak with blue cheese sauce on a creamy potato stack with sweet, butternut. Wow! There are other adventure activities you can arrange to do like quad biking so check it out. Montecasino in Sandton bases itself on a mesmerising Italian village. Restaurants are situated al-fresco style on the open-air balconies of plaza buildings, beneath which shoppers shuffle about the stores and marvel at the fountains and nightly entertainers. Tiny tots and golden oldies will be captivated by magicians, street artists and the friendly fliers at the Bird Gardens. Before you say ‘Ciao,’ be enchanted by stylistically and vocally moving stage productions at the Teatro. Whether it is ‘The Lion King’ or ‘Chicago’- remember to book in advance as shows sell out fast! Last day trip is definitely not the least. The cableway at Haartebeespoort has been re-opened for the last six months and already it is a hit for day visitors and tourists. The ascent to the top of the mountain is gorgeous and the view from the top even better. Enjoy views of Haartebeespoort Dam, the Magaliesberg and surrounding areas. There are plaques situated around the circumference of the mountain top where you can learn a little of the history of the area and where you can orient yourself with your surroundings. Pack a picnic or have lunch at one of the restaurants and enjoy the scenery. You can also hike to the top or back down if it's not too hot and you are prepared for the climb. Sandton City Shopping Centre exudes elegance and first class shopping. Big brands and exquisite restaurants line the brightly lit mall, but you can also find within its 4-levelled mega-structure everything you need and a coffee in between. Connected to the mall is Nelson Mandela Square. At the forefront of the Square, the smiling bronze statue of South Africa’s former president, who fought in the struggle against apartheid and pioneered the Rainbow Nation, stands tall. Wander in his liberal spirit around the square and have a European-inspired dinner under the fairy-lit trees. Hint: If you live near O.R Tambo International Airport, leave the car and the idea of a tedious drive in the hotel parking bay and take a 15 minute stress-free commute to Sandton City. From the Central Terminal building at the airport take the speedy Gautrain directly to Sandton City station and walk to the mall 5 minutes away. For some refreshing retail therapy, hit Rosebank Mall. Combining trendy fashion with the zesty native novelties at the 7-day African Craft Market and unique Rooftop Sunday Market, the centre is a recipe for shopping bliss. Good news is the Gautrain is also opposite Rosebank Mall and operates between Sandton and Rosebank so you can go (mall-hopping) on an allocated full day shopping outing! Groot Marico is a soulful village in the North West which was made famous by the writings of Herman Charles Bosman: "there is no other place I know that is so heavy with atmosphere, so strangely and darkly impregnated with that stuff of life that bears the authentic stamp of South Africa"
If you are seeking an outdoor heaven, look no further than Warmbaths Resort. On your day trip, soak up in all the water activities you can imagine, including River Rides, Cable Water Skiing and Pedal Boats then unwind in the Hydro-pools and Jacuzzis. Dip in the kids or adults pools. Dry up and get the adrenaline pumping again at the sports courts where you can try your hand at Tennis, Volleyball and even Archery. A personal favourite is the Fu-Fi slide which makes one feel as though they are soaring across the jungle like an action hero. You may find yourself unable to leave all the splashes and smiles behind, no problem…there are options to camp, caravan or stay at the Lodge or Hotel. The weather forecast is sunny skies ahead, but it is a 2 hour drive at least from Jozi central to Warmbaths, so leave early to make the most of your day trip. Pack snacks and stop over at Centurion or Pretoria on the way if you need to stretch or have lunch in between. Organise to stay in one of Mabula Game Lodge's self catering houses (Modjaji has animals coming up regulary, whilst Sunset Hill has an better views) and go on a game drive and horse rides (possibly the single best experience one can have on a safari). Ever wished you could be treated like an African King or Queen? Your fantasy is about to become a reality. From the moment you set foot at Sun City, the jaw dropping sight of a stone palace in the heart of the Pilanesberg Mountains welcomes you. The richly designed centre, embedded with African mosaics and luxurious carpets has been acknowledged as a world-class crowd magnet with leading hotels and for good reason. For day-trippers, the entertainment centre provides children with movies and arcade games. Casino slots and golf-courses are aplenty for the grown-ups. Have fun navigating the Maze of the Lost City and once you arrive at the upper deck pause and revel in the breathtaking sights of the resort. Want even more impressive waves? The Valley of the Waves waterpark at Lost City implores all water-bugs to get on an inflated tube and slide from heart-stopping heights to the lazy rivers below. There is something tribally magical about the hourly bursts of volcanic flame at the Lost City’s Bridge of Time and light up the night to the sound of drumming dancers, which make you feel sad to say goodbye. South Africa is the biggest consumer of house music in the world, and Johannesburg is its heart-beat. Go to a nightclub and get in touch with the beat of Africa. "If you had to ask any kid down any street and ask him where house music comes from, they’ll tell you it comes from here. That’s how engraved in their heads house music is. We’re in a unique territory, you know, where house music is treated like pop. A house music album will outsell a Coldplay release or a Madonna release. People look up to DJ’s, they look up to getting into the scene, like building themselves into the, like building their own story. You can ask a young kid in school like they want to be a DJ or a producer. You don’t have lots of people that want to be doctors and lawyers. We come from poor families you know. Young guys are making music just like when we started, you know, it keeps them off the streets, for them doing crime you know. They are now DJing, they are now making music, so they are therefore making a living out of it. When we were young, we had to hustle to save ourselves from being that typical ghetto kid. The only way out is through your talent and a lot of people have talent in music. 41% of the youth are unemployed in this country, if you go to the townships you see them drinking, doing whatever, so we are trying to say, listen, DJinig is an art, production is an art, it’s a business, these are the tools, this is what can make you big, there, go, start your own thing. And this is what you want to see. Music is life for people here, it gives them hope, its linked to opportunity, if you really want to be an active DJ, Jo’burg is really where it’s at. Everyone that’s here is here to chase dreams and they work really hard, so Jo’burg is that place, anyone who has any doubts in life should understand that with hard work and following your dream anything is possible. We are the biggest consumers of house music in the world. It’s any everyday thing, it’s in our blood. If you just go into a house you will find that they are playing house music, if you go to a shop right now, it’s house music playing. So, house music is not just big here in South Africa, it’s life. House music here is commercial to that level, you know, where people, they turn you from being a musician or an artist into a public figure. We’ve always thought house was big internationally because that’s where we used to get house music from. Through my travels and being exposed to the club scene in Europe and America, I’ve realised, we have the biggest house scene here in South Africa. There are hundreds of thousands of young people in townships with computers and software programmes that are making music. We’ve got the voices of Africa across this continent and it all feeds into Johannesburg. This is where Black Motion finalised their project . This is my place, I will show you. I sleep here. This couch is my bed and then when it’s cold at night I use this. Everything surrounding me here in this room it inspires me to do more, more, more music. Black motion, there are one of the biggest groups at the moment. You’d be surprised where they are making their music, you know, they are making it in a shack you know. Whatever we do here we imagine doing on stage, so whatever elements you put in we put it in standing so we know where we going. I am laying down a baseline now. Every hit that we’ve ever done has come out of there. We’ve had choices of getting a bigger studio for our setup but we choose home man, this is where everything comes out. Everything that ever came out of Black Motion came out of that studio. We met Oskido in 2010. Yoh, it felt so unreal because Oskido is known all over the world. He was one of the pioneers of house music in South Africa. So when we got a call from him we were like oh my gosh, no this cannot be happening. We’ve identified ten guys from each province, cause these young guys don’t have financial backing, you know and even when they go to the bank they can’t get a loan. So now we’ve done this program where they get like a studio, we create a mini studio for them, you know, and then they get that studio as part of the loan. So we are helping them to start up their own businesses using studios. This is the package of stuff which I’m taking to all these guys. Here I’ve packed all the studios, you know, and I’ve become a mentor, because I’ve been in the music industry for quite a long time, then I help them so that they can develop themselves as a business, This is the future. For these guys to be empowered, start their own businesses. Oskido came here like he wanted to meet my parents and see how I live and I told him I take things step by step. I’m planning to take my parents, like maybe I can come with a plan to build them a house before I do things myself. It’s very difficult to talk about South Africa and not mention kind of where this country has come from. Growing up as a young man, I obviously did experience, let’s call it the atrocities that come up with growing up in Johannesburg, but always found a way of making it happen and enjoying our space. In the beginning it was a struggle because black people were not really allowed to go out at night and party. You had places where there were like curfews, after 7 they don’t wanna see you in town. I mean I’ve had run in’s with cops where they just didn’t get it when you say no I’m going to play at a certain club, no they were like what are you doing here in town, you’re not allowed here, you know that. The physical effects that apartheid had were much less than what it did to the mind of black people, what it did to the futures of black people in terms of feeling inferior. A big part of the struggle is the music. In everything we did, music played a role. We’d be burning a tyre and singing a song. Because of the segregation of the past, it’s funny how as black people kind of were forced into one corner of the country we were able to create our own superstars. After South Africa’s freedom, a new genre was born, which is kwaito music. I would describe kwaito as slowed up house beats with South African vocals. We didn’t any South African or black heroes that you really looked up to, you know what I’m saying, especially not from here, so kwaito came about so that we could really celebrate the streets and celebrate the culture which is the township, actually take it out there. TKZee was one of the most successful kwaito groups in South Africa, if you didn’t have that Halloween CD, you were not balling hard. Every song on their album was just a hit, everything coming from TKZee was just amazing. Most kwaito songs were our first freedom of speech so to say, people love that. For once, young black youth were allowed to express themselves without any limitations. We started talking about issues which were affecting our communities, listen why is the divorce rate so high, why are kids disrespecting their parents, so then our identity became like a new sound. Everyone was saying, wow, you know I can relate to this. There wasn’t any political stuff that time, cause people were tired man cause it was a long walk to freedom. Townships were suburbs that were just for black people. It doesn’t mean that it has to be shady, just that there were only black people. You drive into a township and everything changes, the houses are smaller, a lot more security. It’s another world, it really is. It’s the ghetto but there’s not a lot of violence as such, it’s just free man, everybody gets to be who they wanna be. A lot of gigs which are happening in the townships, because people used to travel to Jo’burg to have these parties but now guys just put up a sound system you know and then people come and drink you know and it’s party time. I mean the atmosphere in township parties, I’ve always just felt like that is where the music is respected the most, the music just goes down really well. There’s no cover charge, there’s people fighting on the streets, you can drink on the streets, you know the freedom is there. It’s not about which chick you with, what you’re wearing, and what you’re drinking you know, people just come out to come and have fun. The smaller venues, that’s where you come in and you tell your story as a DJ. Black Coffee definitely knows how to play records for a South African crowd. He is so big in this country, it’s incredible. I would definitely say he is the biggest producer slash DJ in this country. He brought this African soul into house music in this country you know. It was still like house music very warm and soulful but with an African touch to it. I like the intimacy in those places, you basically give an experience you know, it’s unlike playing in a big festival where you have to really entertain. I feel I am a reflection of a hard working South African man. When I was young I had a car accident and I lost the use of my left arm, and I feel every day that my job is to show anyone who has doubts that it’s possible. Sometimes I get to gigs and on my way home when I’m driving in a very fancy car you know I’m thinking wow, this is amazing, this is an amazing life and it’s a very overwhelming life. I’ve experienced house music in different parts of the world. I think I’ve actually played in all the venues I’ve dreamt of playing at when I was young. It’s a really amazing thing. Johannesburg has plus minus 89 million residents. Its city centre is known to be quite dangerous but there is a reconstruction and development program to clean out the city centre. This is Rocky Street and back in the sorta late eighties, early nineties, it was the hippest, trendiest, coolest place to come. This is where you’d come to like buy records and fashion and it was all alternative lifestyle. With the underground style of life, a lot of sort of undesirable, thug-like started running it. You know it’s still a fairly shady sort of place but it’s definitely improving. It’s beautiful but it’s raw, it’s you know and an old city and it’s like that raw feeling when you drive through the streets. And we can just park somewhere like in a parking bay and get in a lift and go to a rooftop and have a party on the roof you know. People do just take the roofs it’s a new way of exploring the city I suppose. We’re always used to going into a club you know and it’s dark and there’s a sound system and there’s lights you know but this in on a rooftop, you have the view of Jo’burg around you, so it’s amazing, it’s something fresh, it’s something different and I think a lot of people are picking it up and going with it. We all know music’s kinda always been the thing to kinda get us through life, to tell our stories, to heal our pain you know and all that stuff so I think that’s why house music has had such a huge impact on South Africa because of the things we’ve been through and we’ve kinda grown up listening to this music. You could come here for a hundred reasons, but if you come here for music you’re in a really good country. I feel really positive of how the young kids are taking the future of our music, cause the music that everybody’s making now unifies everybody. Finding younger guys who’ve learnt from the likes of us, they’ve seen success in this country, I think the younger guys are able to you know think beyond what we’ve done. Yes, we came up, and it was a struggle, it was not easy. Now, we’re at a stage where we wanna keep it growing, so you guys are coming up, take it now, do something with it. As a country, we just need to keep our heads on and look to the future and be positive you know, keep building. South Africa is just becoming more, more blessed with everything, it’s becoming more beautiful and beautiful, so we have a great future ahead of us, man." Visit "Mrs Ples" and "Little Foot" (our ancestors), at the Sterkfontein Caves at the Cradle of Humanity, Maropeng. Combine this with a visit to the Origins Centre at Wits University, where you can view exhibits of Khoisan and Rock Art that gives the background to the origin of humans. Here's some footage of DJ Gareth Cliff visiting Maropeng, as part of the Mango Airlines Bucket List competition (if you're not from Johannesburg, a Mango flight to Lanseria will get you pretty close to the Cradle of Humanity). 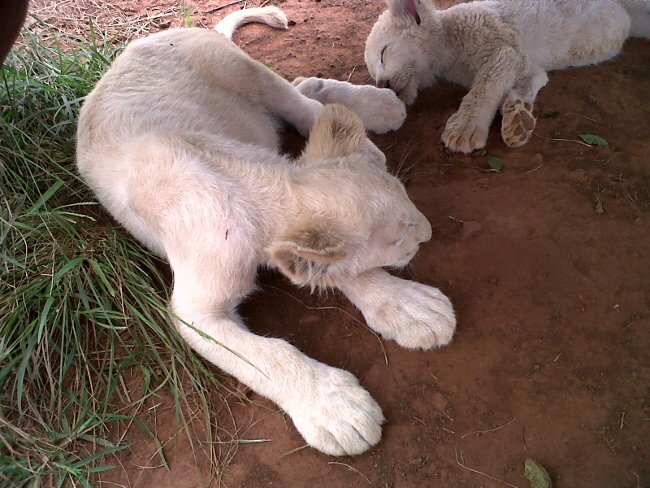 Pet the lion cubs at the Rhino & Lion Park and visit the Elephant Sanctuary near the Hartebeespoort Dam. 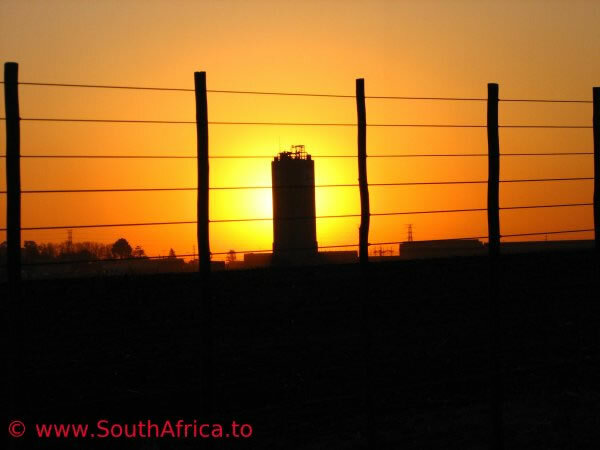 Tour of Soweto (cycle, drive or walk) , including seeing the Hector Petersen memorial and museum, sampling a grilled sheep's head, locally known as a "smiley", bungee jumping from the Orlando Towers and eating at Wandie’s restaurant in Dube. . 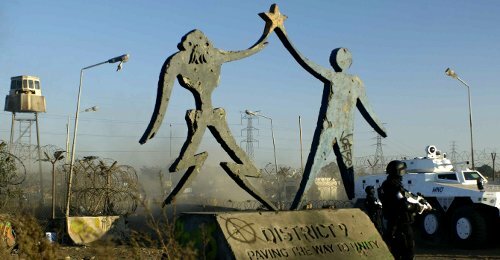 The Hector Pieterson museum focuses solely on the 1976 Soweto uprising, when police opened fire on school children and killed many, including the 12-year-old Hector Petersen. The Apartheid Museum which you enter through either the whites or the non-whites entrance. And pop by Constitution Hill, the site of the Old Fort Prison Complex, where Mahatma Gandhi and Nelson Mandela were detained. OR visit the South African Airways museum at Rand Airport. View the city from the top of the Carlton Centre or via a Helicopter trip. Gold Reef City amusement park, which is built on an old gold mine, with one of the rides dropping you from the top below ground level down into the shaft. SPORT: Play a round of golf at Houghton Golf Club OR break in your hiking boots at the Suikerbosrand Nature Reserve OR Watch a game of rugby at Ellis Park OR watch cricket at the Wanderers Cricket Ground OR watch football at Soccer City, South Africa's largest stadium. Walk through the Walter Sisulu National Botanical Gardens on the West Rand. Hot Air Ballooning at the Hartbeespoort Dam. Go on a steam train from Johannesburg's Park Station to the Magaliesburg Country Hotel. Danger lurks more than elsewhere in the following parts of Johannesburg: Alexandra (Alex), Berea, Booysens, Bramley, Brixton, City Centre (Johannesburg Central), Cleveland, Hillbrow, Jeppe, Langlaagte, Mondeor, Norwood, Randburg, Rosebank, Sophiatown, Soweto and Yeoville (this is not a complete list). "So, I just wanted to get some shots here of the houses in this neighbourhood. You can see they’re very nice houses, this is a lovely neighbourhood. Ah, you have the beautiful mountains, and the houses up on the hills over there. But as you can see, every single house has a big wall around it, a big fence, ah, barbed wire. You can see security, ah, one security company or another, being advertised. And, this is the way that things are right now in South Africa, this is the way that people live, you don’t just leave your house and go to your next-door neighbours door and knock on his door, or ring his doorbell, you have to go over and buzz him at the gate and maybe he’ll let you in, if he wants to, if you’re not a robber or mugger or killer. So here I’m taking a left as you can see I’m staying on the left-hand side of the road, going up the big hill here. So I’ll just show you some of the sights. The perils of driving with the wheel on the right-hand side aren’t just limited to the disconbobulation, we see Melrose Place, interesting, the ever-present American pop culture, even here on the other side of the world, uh, even though it’s a little dated. But, anyway, the perils of driving, aren’t just limited to having the disconbobulation of having the wheel on the wrong side, but also as you can see this is an automatic cause I can’t drive stick, but the automatic, the place where you shift is here so you use your left hand to do that and normally the blinkers on the right or the left, but as you can see here it’s the windshield wipers so I’ve hit what I thought was the blinker many times and ended up hitting the windshield wiper instead, and the blinker is on the right hand side of the wheel, the steering wheel and of course it’s the opposite." If you're going to be in town for a while, then you may want to try a weekend trip from Johannesburg to the Magaliesburg, Drakensburg, Heidelberg, Vaal or Cullinan. Don't forget to eat ice-cream at Baglios on Nelson Mandela Square. Gingko Restaurant (011-486-3361) in Parkview - organic vegeterian & child/pet friendly. Open for breakfast and lunch, their organic smoothies are a must-try. The Green Side Café (076-689-8983) in Greenside (corner Greenway & Gleneagles roads) - along with Leafy Greens in Honeydew, it is Johannesburg's longest running vegan restaurant. Spiceberg (011-486-2255) has an extensive vegan menu available on request. The Rand Club (CBD, 011-870-4260). Jacket, tie & booking essential. Are you looking to make your tourist visit to Jozi into a more permanent setup; then you'll want to find some decent schools for the kids to go to - look no further than Curro's Johannesburg schools - private education at its best from a JSE listed company. Science fiction film about aliens in Johannesburg. OR Tambo International Airport (previously known as "Johannesburg International" and also previously known as "Jan Smuts") is South Africa's major hub, with frequent flights from overseas and within South Africa to all major cities. Construction has begun on a new central terminal building, which will provide a central passenger-processing unit for both domestic and international passengers - construction is on track for completion by December 2009. Construction is being planned to handle the larger and wider new Airbus A380 aircraft. Four new contact stands are to be built with dual air bridges to facilitate the boarding and disembarking of passengers through both the upper and lower levels of the plane. The new facility will be connected to the planned Gautrain Rapid Rail Link. Translux, Greyhound, Intercape and the Baz Bus connect Johannesburg to the major South African cities. Check out our page on coaches to Johannesburg. APM Buses operate coach trips from Zimbabwe to Johannesburg and further afield. Johannesburg is connected via the N1 national road to Cape Town and Pretoria. Johannesburg is connected via the N3 to Durban. If you rent a car in Johannesburg, then watch out for hijackings. The train station offers connections to Durban, and Cape Town. 2013-07-08 Johannesburg not World Class: Following a radio advert by the City of Johannesburg in which it claimed that it was financially stable, Steven Haywood submitted a complaint to the Advertising Standards Authority. The City did not dispute the fact that it runs heavy losses on water & electricity, that its Pikitup service is bankrupt or that it has received qualified audits in each of the last 3 years. The Advertising Standards Authority therefore ruled that the radio advert was misleading, and ordered the City of Johannesburg to withdraw the ad immediately. On Sunday, the 30th August 2009, the Rea Vaya coaches had their inaugural trip from central Johannesburg to Soweto. At the bus stations queues of people waited to board, singing singing 'rea vaya' (we are moving) and some waving South African flags. The bus/coaches have been constructed to be friendly to the disabled, and some people on wheelchairs got on the buses. Travellers should be vigilant at all times, especially at bus stations, airports (especially Johannesburg International Airport) & traffic lights as organised gangs are known to operate there. Visitors should be especially vigilant in the central business district as muggings and carjackings are prevalent. "I don't know, I guess I thought a camel would be at the airport to take me to my tent or something," says Luke, only half-joking. "But guess what? They have rental cars, good hotels, big buildings. Just like New York - only with nicer people." Derek Luke speaking about the filming of the apartheid movie "Catch a Fire". "When I got there it was a bit like finding roots, or a heritage, because I knew nothing of Africa. I went there ignorant of everything except the script I was doing. I didn't know what I would encounter. I didn't know if I would be living in the bush. Phillip (Noyce) said we'd be living as if on safari, and I got very excited. So I get out there, and Johannesburg looks like New York!" 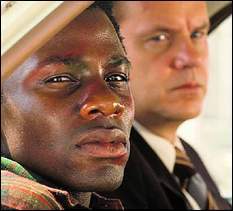 Derek Luke speaking about the filming of the apartheid movie "Catch a Fire". Johannesburg contributes over a third of South Africa's GDP (11% of Africa's GDP). Some of Johannesburg's suburbs have changed dramatically over the last 20 years (Hillbrow, Yeoville, Jeppe, Berea and central Johannesburg). When driving through Hillbrow it's not uncommon to see hollow-faced young ladies standing on the sidewalks with their eyes staring into nowhere - tragic tales of wasted youth. With some 10 million trees, Johannesburg contains the largest man-made forest in the world. Many of the trees were planted in the 19th century in Joburg's northern suburbs to provide wood for the mining industry. Johannesburg's weather is characterised by wet warm summers and dry cold winters. 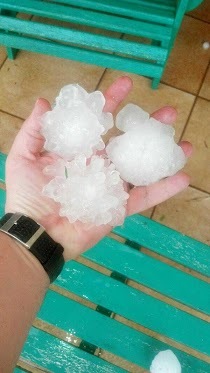 If you love electric storms, then Johannesburg in summer is for you. Unfortuanately, there is often a thick layer of smog over Johannesburg. The world's biggest acute hospital is the Chris Hani-Baragwanath Hospital. City Deep's container port is known as the world's biggest "dry port". Over 10m trees have been planted in Johannesburg, making it the world's largest manmade forest. Africa's fastest & tallest roller coaster is Gold Reef City's "Shaft of Terror"
40% of human fossils have been discovered in and near Johannesburg.